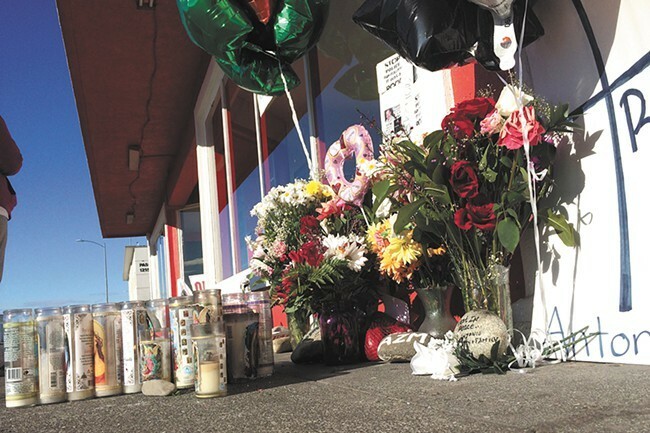 The Franklin County Coroner’s Office announced a start date for a coroner’s inquest into the shooting death of Antonio Zambrano-Montes. The panel of six jurors will conclude if the death was a homicide (which is the current classification) and whether or not the officers were justified. However, their findings are strictly advisory, Blasdel says. Sant has already announced that he will not file charges against the three officers (one of whom left the Pasco Police Department), saying that a five-pound rock that Zambrano-Montes threw at one of the officers and other large rocks and concrete chunks qualified as deadly weapons. Pasco police chief Bob Metzger has also said an internal investigation showed no violations of departmental policies. Blasdel tried to schedule an inquest within a week of the shooting, but received pushback from the prosecutor and law enforcement, he says. He says he would have liked to complete the inquest before Sant made a charging decision, but it’s not unusual to conduct one after the fact. Blasdel estimates it will take the prosecutor two weeks to present all the evidence, which includes video and witness testimony. The jurors are allowed to submit their own written questions for witnesses, as are attorneys for the family members and police officers who are currently in the middle of a pending civil lawsuit. The process is very similar to a Grand Jury, says Blasdel, who adds that he pushed for the inquest in order to increase transparency surrounding the case. Blasdel has conducted four inquests since being elected Franklin County Coroner in 1994. In one case involving the mysterious 1998 death of Washington State Trooper Ronda Reynolds, Blasdel was appointed by Lewis County Coroner Warren McLeod to oversee the inquest. Reynolds’ was found shot in the head in her home in Toledo, Lewis County, the morning she planned to leave her husband, the Seattle Times reports. Her death was originally ruled a suicide, but the inquest panel changed that determination to homicide in 2011, pointing to Reynolds’ husband and son as suspects. Lewis County prosecutor Jonathan Meyer, however, declined to charge either of the men for lack of evidence. The inquest is open to the public and will be held at the Trade Recreation Agricultural Center, which can hold about 200-300 people. “It’ll be a packed courtroom, I can guarantee you that,” Blasdel says.